It turned out so wonderfully!! I can’t wait to see how all these luscious colours knit up! We had a yummy meal, and then started mixing up the dyes, and painting them on the kitchen floor. They’re so beautiful! 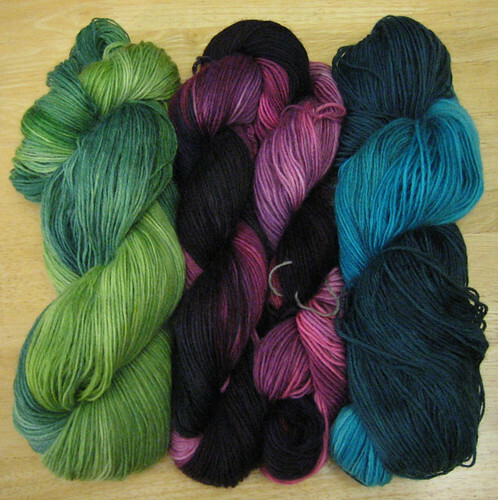 I’m going to have to look back in your blog to see what kind of dyes you’re using. I think you mentioned it but I forget!